You were Landscape Photographer of the Year in 2010. To what extent has winning that competition helped you and your photographic career? Initially, it was a massive boost. When Charlie Waite came knocking on my door I knew I had an opportunity to get things working better and a bit more publicity. Charlie and I live in the same town. The story goes that he went to picked up the phone to make the call and then realized the dialling code was the same as his. He found out where I lived and thought, ‘I can walk there in ten minutes.’ So he walked up and knocked on my door, which was really amazing. It was a Sunday afternoon, I opened the door and saw Charlie Waite standing there with a big grin on his face, which was really cool. I suppose you thought it was a dream? You do at the time. I looked at him and he said, ‘I’m Charlie Waite.’ And I said, ‘Yes, I know who you are!’ And he seemed quite surprised. That was amazing and the publicity in all the publications that came about over the next few months was just incredible. I was already beginning to lead tours to Scandinavia to photograph the Northern Lights, so I had started doing workshops and tours, and then meeting and getting to know Charlie led to me getting involved with Light & Land, which was a massive thing for me at the time. The publications in all the newspapers, and the print sales bolted onto that, was incredible. So, yes, it was a huge leap forward very quickly and it put me into a position that I wanted to hold on to rather than let slip away. I’ve been trying to capitalize on every opportunity I’ve had since then. No, not at all. I got my first camera when my son was one, which was late 2006 to take pictures of the kids. My Dad was going to Hong Kong and he had just bought himself a Canon 1DS Mk II, which was then the top camera on the market. I showed a lot of interest and he said he could pick me up one while he was away and I said, ‘Ok, that will be great.’ I gave him as much money as I had and I wasn’t sure what he’d come back with, but he came back with a 5D Mk I and a giant 28-300mm L series white lens. It was really cool for about two weeks until I realized just how bad that lens was! After about three weeks I decided I was going to part exchange it. I had seen the work of people like David Noton and Charlie Waite and it was them and other local Dorset photographers that really inspired me to go out and give landscapes a go. So I spent some time looking online, researched what I’d need, went out and bought a 17-40mm and 24-70mm lenses, and those were the first things I had and I probably kept them for about 18 months. You mention your father’s camera, was your father into landscape photography as well? He was, but only in the sense of taking snaps and having a bit of fun. After a couple of weeks of trying landscapes and realizing I wasn’t getting anywhere, the cameras then had no dynamic range, it soon became clear that I needed something else, so I ended up ordering a bunch of Lee filters, to which my Dad said, ‘What a waste of money that is!’ Which was quite funny at the time because I started using these filters and started taking landscapes that were actually working. My Dad’s next move then was to order just about every Lee filter on the market! From that moment on we were both completely hooked. Upto then I was working as a stonemason, mostly in the construction side. I was completely self-employed, working with my Dad as well. It’s what my old man’s done and what I’ve done, so we could shoot every sunrise on the way to work. We’d always find something somewhere and we’d do the same at sunset; so it opened up a lot of opportunities for two obsessed photographers. That’s really nice. You must have been quite close to your father? Well, have we not all been there? What camera gear do you have now? Only Nikon at the minute. I’ve used several different camera systems over the last few years. From Canon to Hasselblad, Hasselblad to Phase One, Phase One to Nikon. That’s very interesting – Phase One to Nikon? When I won the competition and had the prize money, a chap who’s now one of my best clients actually had a Hasselblad system and he was having nightmares with it, so he part exchanged it at my local camera store, Robert White, and moved to Leica, and I ended up picking up his Hasselblad for a really good price. I used that for about six months and really loved it, then there was an opportunity to do something with Phase One, which I was already interested in. They were doing a deal whereby they would take the megapixel count of your current medium format camera and use it as a percentage off the price of your Phase One. Well, I had a 50 megapixel Hasselblad, which immediately qualified me for 50% off the price of a Phase One. So why did you move from Phase One to Nikon? I haven’t used one personally but they are supposed to be really good backs. The Phase One is amazing. My personal issues with medium format are the lack of depth of field. It’s a big issue for me and it meant that the only real option to avoid focus stacking everything and the complications of all that processing, which I have always tried to steer away from, is to buy a technical camera, which I ended up doing. So I’ve got all the movements, and I can use tilt too to effectively increase my depth of field, just to lay down the plane of focus. But then I found that when working with a group I just haven’t got the time to work. Nearly all the photography I do now is while I’m leading workshops or I’m in different places and something happens and I get to shoot. That’s not really my priority when I’m on those tours and I need to maximize my time with my clients. I found that getting a technical camera out, getting everything set up, getting everything perfect, examining everything, to make sure I’ve done everything properly, it was just taking far too long. So I think the best way for me to keep shooting and be able to work quickly was to go back to 35mm. So that dream of becoming a professional landscape photographer and having plenty of time to take photographs, that’s gone out the window? I still have time to take photographs. I probably wish I’d more time to have used the Phase One and the technical camera together, but it’s my job and I have to make sure the clients are getting what they need. If I’m away working with clients they are my priority. I have to look after them if I want to see people coming back again, which happens a great deal, so that’s really good. I think if you spend enough time with your clients they completely understand when something’s really worth shooting and I can get to take my camera out of the bag and make images! Very rarely do I feel I can’t get my camera out and make a picture on tour if the light is doing something spectacular. So you are using Nikon system and the tilt and shift lenses? I’m not at the minute. I’m just using straight lenses. I have so much more depth of field to play with I rarely find I need to focus-stack anything. You visit and photograph northern countries and you do so during the winter when it is freezing cold and everything is nothing but white. What is the attraction? Well, the attraction all those years ago was that it was different. Going to Lofoten and going to Sweden and Finland, it was something that I couldn’t name any other British photographer who was doing that at the time. I love the cold. I love severe cold. I like the conditions that throws up. I love the snow, I just love winter. Coupled with the opportunity of taking images of the Northern Lights, which no-one else was doing really. Of course, all that has changed rather drastically and beaches that me and my friend David had been photographing in Lofoten for years now – we would have to ourselves every night – last year we went to one beach in Lofoten, and I remember counting to about 60 tripods and giving up. So in the last couple of years it just seems to be this bandwagon that everyone has jumped on. Lofoten in winter now is like going to photograph Mesa Arch in the States for sunrise. Everywhere is rammed with workshops and groups and it’s getting quite challenging – I think I’m just about at my limit. It has reached saturation point with that part of the world, so I think it’s time to look for a new challenge, probably in the same part of the world, just in a different area. Is it like that in Iceland? Yeah, Iceland is the same, but Iceland has always been more popular. The first time I went to Iceland was probably six years ago and there were still lots of photographers around, but I think there is even more now. I absolutely adore going to Iceland in the summer, in fact, I would much rather be there in the summer. The beauty about Iceland in the summer is that all of the mountain roads are open so the second you step away from the Icelandic icons, you are into a whole new world. I truly believe that there are compositions around every corner in so many places in Iceland, you can shoot all manner of unique images that people have never seen before. I think the options in certain areas of the highlands are completely limitless and I would much rather spend my time doing that than hanging around all the hordes on the main roads in the winter. I’m going there with a couple of friends but they want to go in the winter and I was arguing exactly that: if we go in the summer we will be able to see the earth colours and we will be able to find something different than everybody else. Absolutely. You just need a 4x4 and somebody who knows how to drive one. We just drive through rivers and the water’s coming over the bottom of the windscreen. Yes, it is pretty scary the first time round, but after a couple of times you just get used to it. You need watertight doors and high clearance. Once you do get in it’s a whole new world. Let’s talk about your images. Do you use Lightroom or Photoshop? What type of processing do your images undergo? Some people don’t like too much processing, they do just the basics while others go to extremes. I think it’s really hard to define what is basic and what is technical within Photoshop. I do some pretty technical things without making huge alterations to the image. I think that’s important. I’m getting very tired of seeing the same places shot in the same light. Just basically watching the world out-sensationalize each other. I think it’s a shame that Photoshop is so responsible now for some completely over-the-top images, and if you don’t make your images completely over-the-top, it is really hard to compete on some of those social networking sites, places such as 500px. I think it’s all about location and how much Photoshop you know. I think that’s a shame and I try to keep images true, keep images believable – that’s the most important thing and I think so many images now are not. Especially when it comes to saturation? Saturation, distortion, people using lens distortion deliberately to increase the mountain size. I’ve seen so many pictures with people just grabbing mountains using Free Transform and just stretching them to make everything look far more spectacular than it is. The new trick, particularly being used by the North Americans, is to shoot something very wide and then to zoom in and take the main subject much bigger and then combine the two photographs together. You end up with this huge foreground shot at 14mm and a mountain shot at 40mm and everything’s blended together to make one photograph. It doesn’t look real to my mind and you can see it from a mile off, and yet these are the images that are cleaning up on those sorts of websites. Very interesting. You have to give it to them though, I have to admire their imagination. Imagination is one thing, but I think all of those elements coupled with sheer oversaturation and unbelievable colours just leaves you with this Disneyland feel as though you are looking at something that Disney created. I think it’s a real shame, so that is a road I desperately don’t want to go down and will try to avoid. I will keep doing my own thing and if that doesn’t work then so be it. I don’t think I want to go to those levels of manipulation to make an image. I have only ever used Photoshop and Adobe Camera Raw, I have never personally used Lightroom. As soon as people know you use Camera Raw, they desperately try to find something that you can do in Lightroom that you can’t do in Camera Raw, the only thing I have ever found that you can do in Lightroom is the organizational side of things, with catalogues and things like that. I think every other element of Lightroom is in Camera Raw and vice versa, so I don’t really see the difference. Do you have a favourite image? Not one of your own images, but someone else’s that has inspired you? I do, I have several. Probably my favourite image is by Christopher Burkett. It’s called Glowing Autumn Forest. Why does that picture inspire you? If you can describe it of course? I can. It’s an image of trees, only trees, in various levels of fall colour, from Virginia. This image is exactly the kind of image I know I would walk past and never see the composition. I think that’s what Christopher Burkett does so well. I am in awe of nearly everything this guy does, but this one particular image – and he says this himself – encapsulates everything he has ever done in one image. I just find the clearing through the trees in the middle sensational. There is so much depth in an image that is very difficult to create. It’s shot with a 10x8 camera, it would have been such a difficult image to achieve I can imagine. The colour, the tone, the mist, the subtlety is just absolutely outstanding – I don’t think I have ever seen another image that I could stare at for quite so long. Talking of favourite images, do you have a favourite image of your own? We landed into Reykjavik airport probably about 7 or 8 o’clock at night, we picked up our car and we drove straight to this location. It was dark, the stars were out, we walked straight to this pool – we found the location that we wanted to photograph. There was some broken cloud, and we were watching the Northern Lights in an August sky, which never really gets dark, but you could just see the Northern Lights dancing around. It was actually quite cold, as it often is in the highlands of Iceland, and we were sat down near the edge of this pool and used the heat of the land and the heat of the pool to warm us up as we sat around having a laugh and just waiting. As sunrise crept nearer, you could see the cloud building and moving across in a really nice pattern. I remember getting quite excited and thinking that something would happen. The sky that unfolded was absolutely sensational. It was way better than anything I would ever have hoped for from that location. To do that on the first morning and with the first images of the whole trip meant that we had slightly more than nine days to go and explore everything else in Iceland. There was no way I was going to get better light than that. Yeah, we were both over the moon and we explored so much of Iceland on that trip that I had never seen. After that I was completely addicted with Iceland and I have been back many, many times, but I still don’t think I have ever seen light quite like that since. Do you have a past or present photographer who you might say is your ultimate inspiration? I think my ultimate inspiration would have to be Joe Cornish. He is a superstar. He is an absolutely phenomenal photographer and I’m really fortunate in the fact that I manage to work with Joe quite regularly, and if I wasn’t working with Joe I would still very happily spend money going on a tour with Joe. It is amazing to be able to work with people like Joe, Charlie Waite and David Ward. For me personally, I find his images absolutely and utterly compelling, incredibly subtle, believable, true and real – he is a gentleman and a fantastic guy to work with. I look forward to everything else we’ve got working together in the future. Do you have a favourite location? I’m not sure about a favourite location. I think my favourite thing to do, and this reflects many elements of my personality, is to go storm chasing. Yeah, I love the Great Plains of America. There are major cities in the USA that one cant help but find a little fake and pretentious. Take somewhere like Las Vegas for instance. There are big cities that are very real, but there is something about the Great Plains – the towns and communities there don’t really subscribe to that. Everything is as it is and as it has always been, it’s real, it’s old and untouched – I love that about that part of the US. Coupled with the fact that the landscapes are so vast, flat and featureless, it makes you work. If there are no storms around you can look at dilapidated grain silos and all manner of intimate and urban landscapes. Watching supercell thunderstorms start to roll across the sky towards you, negotiating those and navigating between them appeals to the adrenaline junky photographer in me. It is always terrifying. I’ve had some very, very close calls that I would not like to go through again and I’ve had some storms which have been a dream to photograph and to negotiate. But you never quite know what you are going to get, it’s a kind of test of your ability to read into all manner of different weather models and forecasts and cross-referencing loads of different data. It becomes this kind of technical, adrenaline junky photography crusade. It is something that brings the small group of people I do it with together – it is an amazing experience. I have managed to book myself up this year but I will definitely be going again in 2016 and I can’t wait. Working as a pro, can you tell me what are the problems you come up on a daily basis and what tips you would give to all those people who are trying to get into photography as a professional? I think the biggest tip for any aspiring professional photographer is to tread your own path. I don’t think, other than gracing the top pages of many of the social networking sites, there is a lot more to be gained from photographing the iconic shots from every location you travel to, which so many people seem to be very happy to do. But that is never going to set anybody apart from the rest. Having more money and having more ability to travel is one thing – and you will get better light than many in a lot of these locations if you continually visit them – but I think certainly from my perspective, all of the photographers that I admire are people who are doing their own thing and treading their own path. They are the people behind the icons, they are the people that make locations iconic. That of course is getting harder and harder to do, but I think nearly everything can be photographed well in the right light. So, I think understanding light, when and where to use it, is key and I don’t think anybody is better at that than Joe Cornish. I think Joe is the finest example of that we have in the UK. Besides landscape photography, what other genre can you see yourself being attracted to? That’s a tough one. I honestly don’t think there is anything else I’d like to photograph. I really admire the work of my friend David Clapp. I think he is a phenomenal architectural photographer. 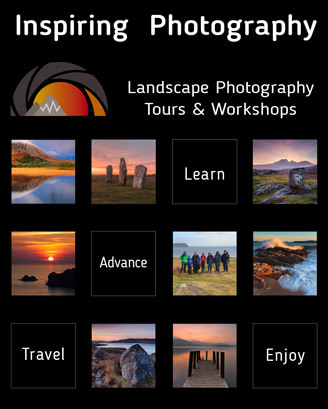 I’d like to have a go but I don’t think it’s ever going to take the place of landscape photography for me. I’d love to go to some of the really big Asian cities like Hong Kong, Shanghai and shoot the mass of buildings. In fact, Simon Butterworth has some phenomenal architectural photography, I really admire the work that these two do, but I don’t want to do what they are doing. I just want to carry on doing my own thing. I really don’t think there is anything else I’d like to photograph. Besides photography, are there any other hobbies or passions? Other than the family? They would be of course the biggest thing. Photography would come second to my family for sure. Beyond that, I’m not really sure. I like to chill out with a beer and watch football when I get the opportunity, when I’m home and have some time to do that. I used to play football when I was younger, I used to do lots of things, but I think work and family are the two things I major on now. Do you see your love of landscape photography as passion or obsession? I think it’s a bit of both. Over the last couple of years I’ve done so much travelling that the travelling element now has become quite difficult to deal with, and being away from home, away from the family, it never gets easier. I know it doesn’t get easier for my wife either, so it is always amazing to get home. It is great to get to a breathtaking place and to photograph it, but it’s always amazing to come home and I think that is key. I think the obsession with me is coming up with new locations, and that’s important. Like I said earlier, I’m finding it harder to plan tours to places like Lofoten and it seems like the place that everyone is doing. It is the standard place to lead a workshop these days. That is such a shame because for so long that wasn’t the case. It’s really good to keep researching and keep finding new areas and keep pushing myself to explore new places in which to take people. Talking of locations and researching, what are your plans for 2015? 2015 is pretty mad for me. I’m going to Yellowstone for the very first time. I’m expecting temperatures to be down to around -30°C to -40°C. In your element then! You said you really love cold conditions. Yeah, well the coldest I have ever photographed in was -39°C, so I have a feeling it may get more extreme than that in Yellowstone. The rest of January, February and March is filled with Scandinavia and Iceland again this year. I’m working with some Australian guys who are really good friends of mine. In April I will go back into the deserts of South West United States, which is an amazing place that I truly love and it is another place where the possibilities are endless. I will lead a tour for Light & Land. We start in Vegas and we travel all the way across Nevada, into Utah, Arizona and then finish up in New Mexico, so we travel through some amazing locations. In Nevada we do the Valley of Fire and then we move across to Utah and Arizona to do things like Toroweap on the Grand Canyon, and White Pocket, which is one of my favourite places on the planet. It’s an absolute gem of a location, really remote. We do some more iconic things and more visited locations such as Lake Powell and Antelope Canyon, which everyone really enjoys but is pretty mad with tourists and other photographers. Then we push on to Monument Valley, but we get driven upto the top of one of the huge mesas by the Navajo. We normally camp at the top and then wake up to shoot sunrise and down into the valley, which provides for a pretty amazing view. Then we drop down into New Mexico to visit the Badlands and finish up at White Sands at the bottom of New Mexico. That whole route is something that I adore and the compositional possibilities are endless. Every year it throws up something completely different in the way the landscape has changed. That is a tour I can see myself doing for the rest of my life. It is a vast landscape isn’t it? Yes, it is and I don’t think I will ever stop finding new locations in that part of the world to photograph. Then I will visit Namibia and then back to Iceland a couple of times before a new tour myself and my good friend Justin Reznick have put together photographing underwater landscapes as well as idyllic Maldivian landscapes this September. I’m leading a tour in the Maldives this summer – we’ve got a luxury yacht. Then I’m doing a tour with my friend Doug Chinnery to Harris and Lewis in October, then I’m back to Colorado for Fall colours, then back to Iceland again. So, it is quite a manic year, but there is not a great deal that’s new for me in 2015. There is some more interesting stuff coming up in 2016, that’s in the pipeline. Now, you are fairly young compared to myself! How do you see your photographic future? I don’t know. For the first time in a long time, having worked with Joe, I feel really inspired to print again. I have been working with Fotospeed and I have worked out exactly what papers I love. I really adore the Fotospeed papers and I have come home to print 80 different images that I have never printed before, over the last week, and I really enjoyed that, so I want to go back to printing. I also need to go back to spending more time in shooting to make prints rather than, for a couple of years I have been guilty of shooting to make images to get to the front page of various websites, which is not the place I want to be any more. I don’t want to play that game and I don’t want to do the kind of processing that is necessary to do that, so I want to spend a lot more time shooting more subtle landscapes. I think there will be a change of direction in that area. I have been inspired so much by what Joe does that I want to make images that have the sort of impact that his images have on me. I think it is definitely time for a change. At home I have an Epson 7880, which is a few years old now. It’s a 24-inch roll printer. If you could turn back time, what advice would you give to a younger you about photography? Would you do something different? Would you try something else instead? I would love to impart the experience I have now into me six or seven years ago. There are many of places I look back through on my hard drives and I see images that I wish I’d had a better camera gear or just known how to capture the scene properly. There are many places I have been and many locations I could have done so much better, knowing then what I know now. I think that has to be true of every photographer going. I don’t think anybody ever stops learning in this game and I don’t think anybody’s taste ever stops changing, even just subtly. We all learn to work to get the very best out of the equipment we are using at the time. However, the equipment is evolving so fast that as you are almost just about to catch up with your camera and then something new comes in and you move on again. I am really excited to see where the technology will take us in the next few years. I have used cameras like the Canon 1DX for shooting the Aurora and lowlight Milky Way astrophotography – the technology in that and the way it retains dynamic range as you move up through ISO levels is incredible. All of these things are going to be tweaked as we move into the future, so what we will be shooting with and using in five to ten years time is baffling. It is going to be an interesting ride watching it all happen and unfold in front of us. Talking of dynamic range, it would be lovely to get the new cameras with a really good dynamic range, wouldn’t it? Yeah, no disrespect to Canon but I remember with the Canon cameras I have used in the past that I constantly found myself doubling up with grads and doing different things to hold everything into one frame. Then you would have to try to fix the elements afterwards, like if you stacked grads you often ended up with an over graduated sky compared to the foreground or reflection. But I find now, especially with the Phase One and the Nikon systems that with the 14 plus stops you end up using, there is so much more detail there. I honestly don’t remember the last time I used a 3-stop grad. I really don’t. I absolutely adore the D800/D810. I think the dynamic range is insane! In places where you can literally expose for the highlights, the amount of shadow detail you can recover on that camera is game changing, it makes life so much easier. So, the simpler the camera can make your workflow, the simpler it is all round just to produce images. I would much rather do something that is one file than montage a load of Raw files together to make one final photograph. 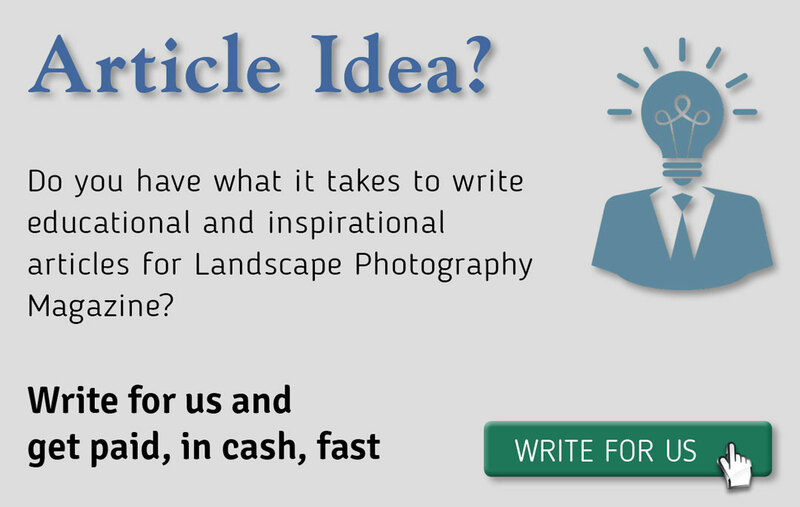 One last question: what advice would you give to our readers about photography? Read this and many more inspirational articles in High Definition inside Issue 49 of Landscape Photography Magazine.